Investment deals worth $3.53 billion were inked between Beijing and the Hong Kong Special Administrative Region on cooperation in services, infrastructure construction and finance sectors at the 22nd Beijing-Hong Kong Economic Cooperation Symposium, which concluded on Thursday. Among the 15 projects that were inked on Thursday are also ones that focus on cooperation in consultancy services, transportation infrastructure construction, medical care and financing. Vincent Lo, chairman of the Hong Kong Trade Development Council, said the cooperation between companies from Beijing and Hong Kong in the past few years has been smooth and fruitful. "Hong Kong can play the role of an international hub in the Belt and Road Initiative and this is something that Beijing can make use of. We should establish a platform for capital and projects that can connect State-owned enterprises, private companies and international corporations," said Lo. "We can also leverage on our financial technology and talents to explore markets along the BRI." The projects discussed during the symposium mainly focus on Beijing's role as national cultural and scientific innovation centers. Several Hong Kong companies have also invested in Beijing's telecommunication industry and cultural art centers. Fitch Ratings, a leading global ratings agency, said its Hong Kong unit has signed a contract with Chaoyang district on setting up a credit ratings agency in Beijing. Hong Kong University of Science and Technology has teamed up with a Beijing company for a lab on artificial intelligence and computer vision sectors. Chen Jining, mayor of Beijing, said the capital has a group of ongoing urban construction projects which offer investment opportunities for Hong Kong investors like Beijing's sub-city center, Daxing International Airport and the 2022 Winter Olympics. 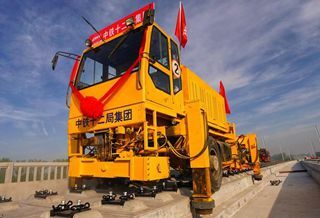 "These projects are not only about construction, but also include high-technology and services cooperation," he said. In the past years, Beijing has come out with several policies to open its finance, science and technology, commerce and tourism industries to outside investment, Chen said. "Beijing will further open its services sector and offer more opportunities for investors." According to the Beijing Investment Promotion Bureau, by the end of September this year, Hong Kong had set up 15,687 companies in Beijing with an overall investment of $79.58 billion, accounting for 52 percent of the capital's overseas investment. The investment from Hong Kong mainly focuses on sectors such as real estate, financial services, information technology, computer services and software. Beijing has invested $28.81 billion in Hong Kong, accounting for 44 percent of its outbound investment, mainly in information technology, cultural and entertainment sector.